Hello, and welcome to this week’s edition of Three Good Things! As ever, this post is about finding the small things that make me happy and grateful for my life. I did loads of different prints on my course, and this one, which was the fastest to create, is a bit of a favourite. It’s a brighter lime green than it appears in this photo (taken in poor light), and will be framed to go on the wall in my new home. 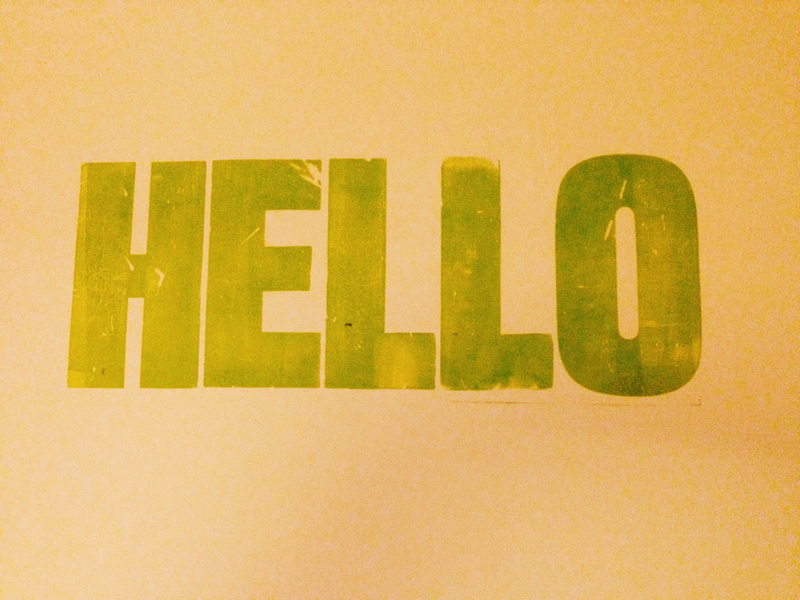 I love the simplicity and the way that the old, wooden type has created imperfections in the print. To me, letterpress (with old type, rather than new photopolymer plates) is a wonderful example of the Japanese aesthetic of wabi-sabi; the beauty in impermanence and imperfection. I’ll be blogging more about my experiences at the West Yorkshire Print Workshop on Friday! 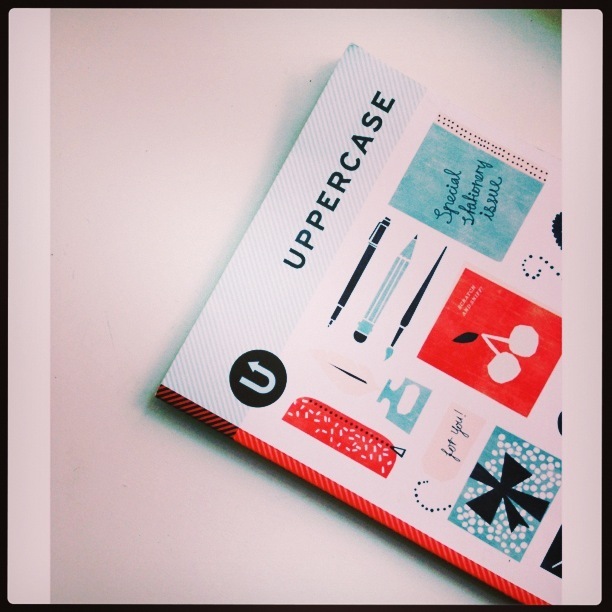 Uppercase magazine is a visual treat every issue. The special stationery issue in this photo was the final push in my decision to sign up for a letterpress course in the first place and I read every issue from cover to cover and keep them for inspiration. They describe themselves as ‘creative and curious’ to which I’d add joyful, colour-filled and uplifting. Even, if, like me, you’re not already working in a creative industry, it’s really inspiring. It’s definitely influencing plans I’m dreaming up for the future and I’m already looking forward to the next ‘gem’ themed issue. Uppercase is available from loads of places, but I buy mine from Colours May Vary. 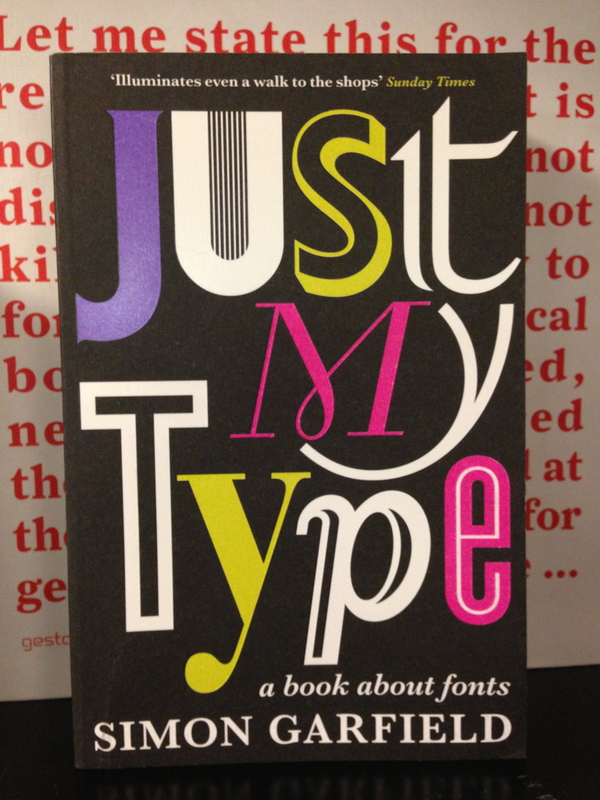 This book about fonts is my current read. I’ve loved Simon Garfield since I read his beautifully edited trilogy of books based on Mass Observation diaries from before, during and after the Second World War, and I’m loving this just as much. He has a wonderful way of taking something that could be rather a dry subject, and bringing it completely alive. I cannot pass a poster now without wondering about the font. He begins the book by discussing Comic Sans, which feels a bit like tackling the elephant in the font room straight away and now I’ve discovered that it’s really valued by dyslexic children, I’m feeling somewhat gentler towards it! It’s a great, fun and informative book that I highly recommend. Learning more about type and fonts is a great way for me to continue my education now I’ve done my introductory letterpress course. Now I just need to decide what’s next! Oh, that all sounds brilliant. I love the sound of the letterpress course, and that poster is fab. I think I need a trip down to Colours May Vary come payday…. I bought Just My Type for my husband (who’s a printer) and he really enjoyed it. The print workshop sounds great. It was so great – I’m trying to decide whether to try to carry on with the letterpress or try something else, like screen printing next! Will look out for that book. Oh that looks great, would love to try it sometime.